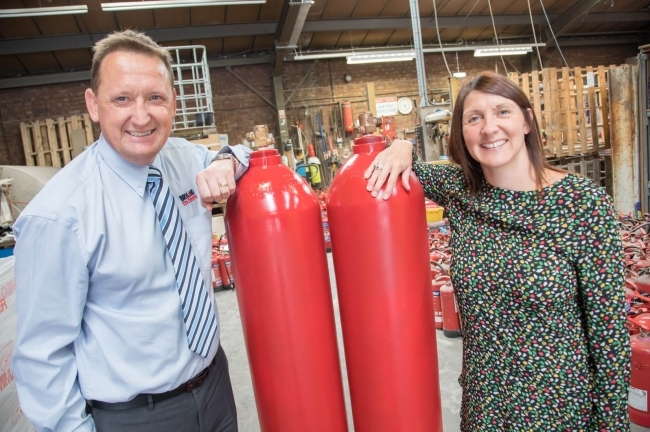 A leading Dudley-based fire product specialist has seen turnover increase by 33% after securing a string of new contracts with data centres across the UK and Europe. Bryland Fire Protection, which employs 54 people at its three locations across the country, has built a new niche for itself in supplying Fire Suppression systems that are protecting crucial information for the MoD, major financial institutions and even online shopping channels. Backed by expert support from the Manufacturing Growth Programme (MGP), the company has seen turnover rise from £6.5m to £9.2m in just twelve months, with its first export orders secured and bringing in an additional £1m in revenue. The growth has been achieved after the management team adopted a ‘Sirus Business Transformation’ process that focused on developing strategic relationships, building the brand and increasing market share in core sectors. It has also introduced a new approach to the retention and recruitment of skilled staff, placing people at the heart of its business and the way it deals with customers. “We’ve had a really good few years, but the last twelve months have been beyond belief…sales have just taken off,” explained Graham Turner, whose father Rowland started the business in 1966 with just two employees. He continued: “The process was nothing short of incredible. It allowed us to take a step back from day-to-day activities and look at why we are successful and where our core expertise lies. One of the outcomes was to have a concerted push on supplying solutions to data centres and that is already paying off. 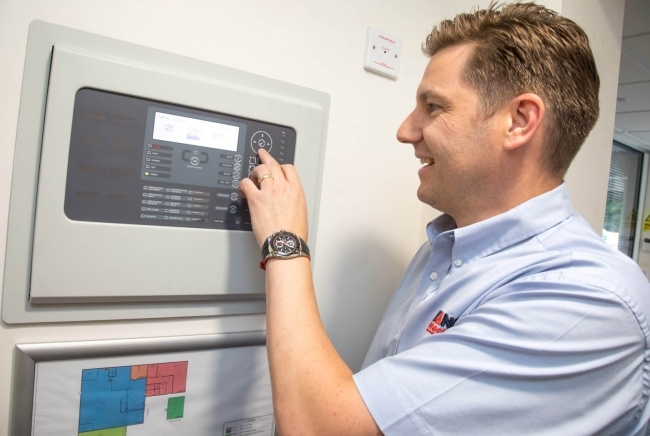 “We have significant expertise in selecting the right suppression systems and designing a bespoke solution for installation, maintenance and ongoing servicing. Bryland offers customers the best in fire protection and services, ranging from fire suppression systems and fire alarms to room integrity testing and the supply of highly sensitive smoke detectors. It operates from an extensive facility on Pear Tree Lane in Dudley and two recently opened satellite offices in Farnborough and Colne, providing complete nationwide coverage. In addition to new contracts to supply data centres, the company has also seen an increase in demand for its online fire training courses as a cost effective way for clients to deploy and track their fire safety and general health and safety training. Manufacturing Growth Programme’s Helen Fortune picked up the story: “Bryland has enjoyed rapid expansion over the last twelve months, but this is just the start. Importantly, the management team has used external advice and guidance to lay the foundations for sustainable growth going forward and the possible creation of 20 new jobs.